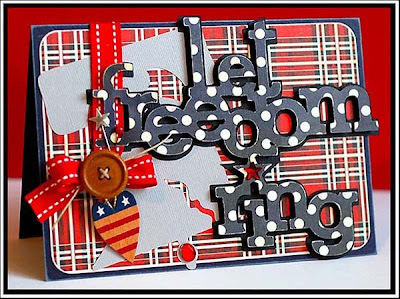 ...and I am finally sharing the July 4th cards that I made with you! Sheesh! It has been a long 5 days for me....and I just didn't get it done. But first up...is my card for CPS Sketch 174 this week. We were sponsored by Gina K Designs this week, and I picked Nina's fabulous Fine Furnishings set!! Love it! I have a lot more ideas for this stamp set...can't wait to share them with you!! Hopefully soon! Instructions: Fold zebra print paper in half to make card base, and adhere a white cardstock block to the middle. Adhere tulle to the left side of the card in the shape of a curtain. Add the tulle flower to the middle of the curtain, and top with a pink jewels. Stamp the couch to pink patterned paper and cut out. Adhere the couch to the front of the card. Stamp the end table, teapot and chandelier to the front of the card. Stamp the pillows to patterned paper and cut out. Adhere the stamped pillows to the couch, and color in the edges with white pen. Accent the couch, pillows, end table, and chandelier with pink jewels. Add the sentiment underneath the living room scene using teeny black alpha stickers. 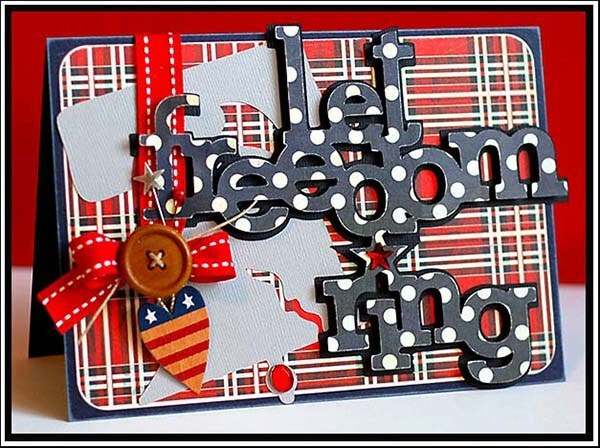 This next card could definitely be used for the 4th of July...but I actually just made it today. 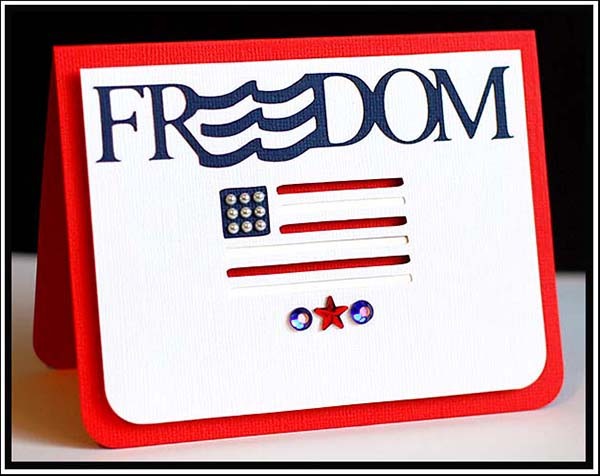 I thought that it would also be a great birthday card....maybe for someone who celebrates in July, is in the military, or is just super patriotic!! It was inspired by 365 Cards: Sunday Sketch this week, and by 365 Cards: old, new, borrowed, blue challenge. 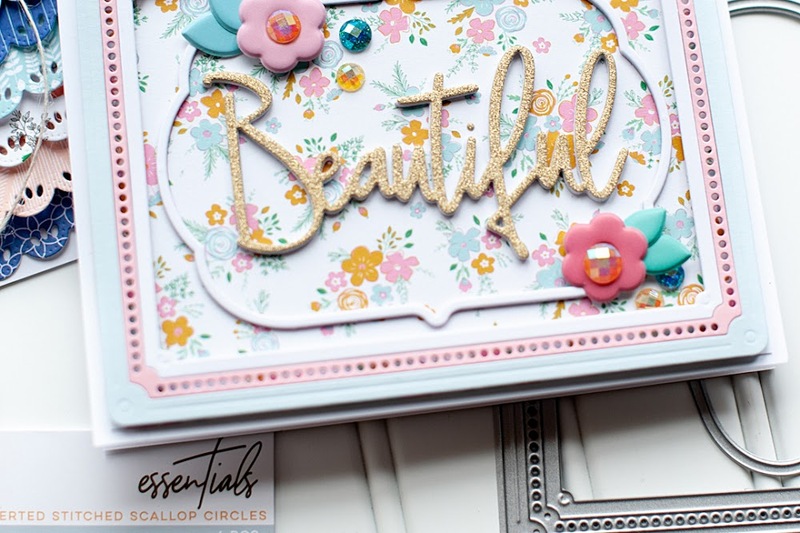 Instructions: Fold kraft cardstock in half to make card base. Stamp the three dots and the star trails to the front of the card. Stamp the sentiment in the upper right corner. Accent the three dots with star jewels. 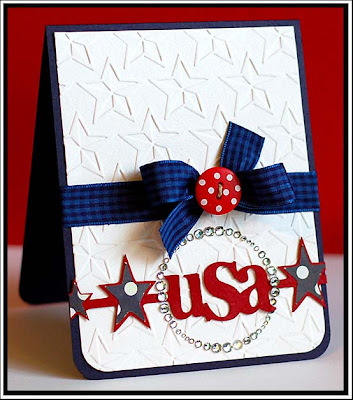 Add three jewels to the upper right corner of the card, and draw a white penned line around it. And since I was totally lame...and forgot to share the July 4th cards with you BEFORE the actual holiday...here they are. 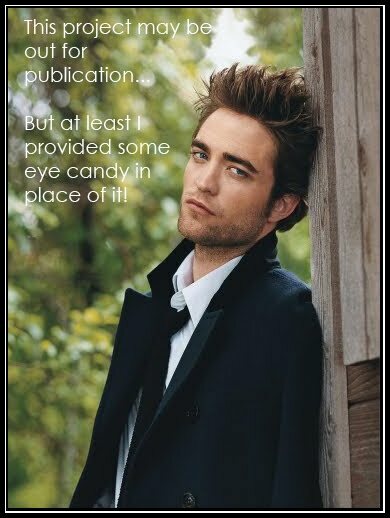 I am not going to do supply lists or instructions...so just enjoy the next few photos!! The first one is in a summer issue of Cards Magazine...either June or July (I can't remember which!). And the other two I submitted to the Cards Blog Challenge gallery, and both were featured in THIS post. So- do you want to know my deal, lately? Friday evening...my right arm started throbbing for some reason. I wasn't really sure why...the only thing I can think is that I did a combination of things to it, including a kick-boxing workout, sleeping on it funny, and possibly tweaking it wrong. So, Friday night I took 2 Advil PM's. Had never taken them before...will never take them again. Apparently ibuprofen doesn't work on whatever I did to my arm....and the PM part made me feel like I was conscious, but couldn't open my eyes or focus on anything if I did open them. So basically...not a good nights sleep, just forced eye shutting. Yuck. My arm throbbed all day and night on Saturday...and I slept horribly. Tossed, turned, and couldn't get comfortable at all- but didn't know of anything to take to help. My arm still hurt on Sunday, and I was completely exhausted. We went to a BBQ that evening, and I did notice that the throbbing lessened while we were there. I knew that I really needed some sleep that night...so I broke out the trusty Nyquil, and slept completely sound until 9:30am. I woke up yesterday to zero throbbing, and just a bit of a sore shoulder. I am keeping my eye on it, but I think I will be okay. If you would have asked me on Saturday...I thought I was for sure going to have to see a specialist because it hurt SO bad. Needless to say....I was REALLY glad we didn't go camping and I was just able to be miserable at home. Being miserable while camping would have made it even worse. We are planning a camping trip sometime soon though, and I can't wait! The weather is finally going to get summer like here...and I am definitely ready! All awesome cards, Lea! I especially like what you did with the Fine Furnishings! Hope your shoulder feels much better soon! Amazing cards - all of them. 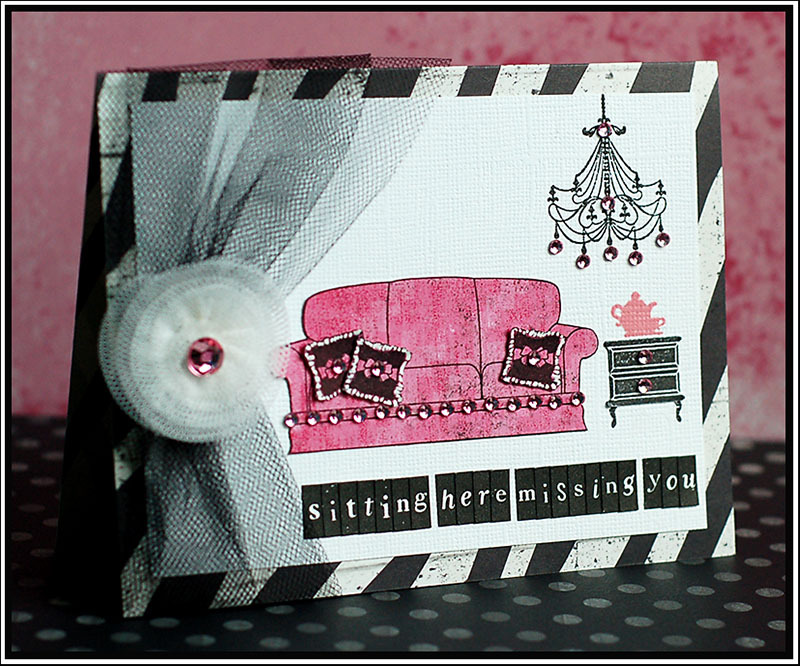 Love the sassy furniture one, and wow you rocked the 365 cards challenge. 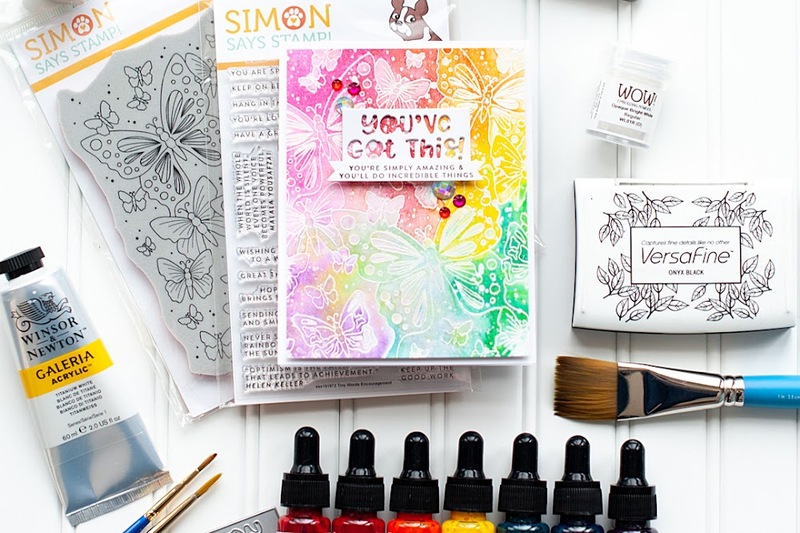 Amazing stamping! Sorry about your arm, good to hear you are better! Hope it stays that way! Just gorgeous!! 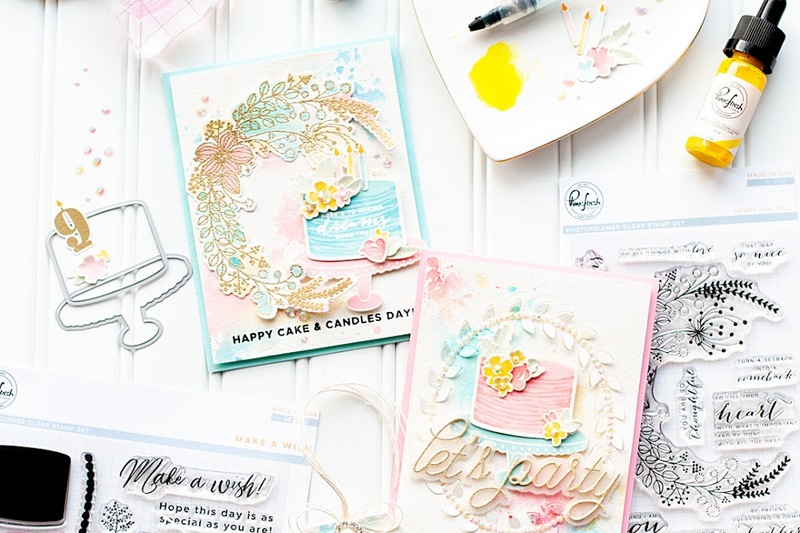 Love that first card - saw it on the CPS blog! WOW! And those patriotic cards are FABULOUS!! Love how the colors just pop!! Wow! I am so in love with your CPS card, what a cute scene! LOVE your other cards too. Lea, these are a-mazing!! I just love everything you do! Sorry about your arm, I am so glad it's doing better! Lovin' all your cards...glad that your arm is feeling better..
Those 4th of July cards are stunning! Just amazing! I love them all. You know, I have arm/shoulder pain a lot...it comes and goes...it's arthritus in my shoulders. Not a lot to do about it as the meds are too hard on my tummy and don't really help anyway. Sometimes the pain is horrible and sometimes none at all. I was only about 36 yo when this all started...maybe you should just get an x-ray to be sure? Wow - love your festive cards!! These are all terrific. My absolute favorite is the "Celebrate Today & Every Day". I LOVE how you used the Dot Spot set!! Very creative! could your "couch" card be any cuter?! i'm loving it! !